With so many engagement ring trends to consider, it can be daunting to decide on which style of ring is best. On one hand, trends are a great way to get inspired by ideas you may not have considered. 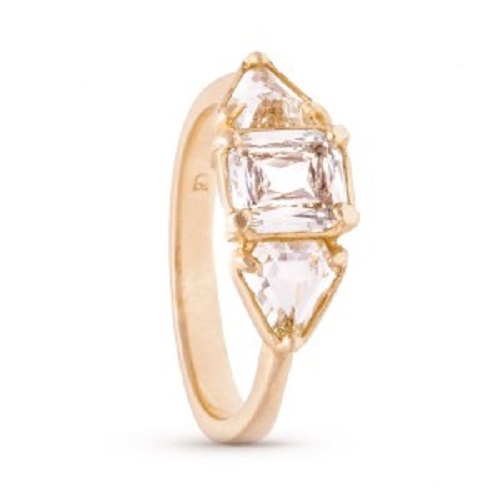 On the other hand, seeing as how this ring is one you will hopefully wear for the rest of your life, it is never a good idea to be guided by trend alone. Why is such a bad idea to blindly follow trends instead of making your decision according to your own preferences and style? Let's take a look. When we say unique, we don't only mean an eye-catching engagement ring. Ideally, the best option by far is to choose something that is unique to you, and you alone. You are the one who will wear this ring, day in and day out. With that in mind, it is far better to use trends only as a guideline rather than gospel. Current 'It' metals that go in and out of fashion each year. 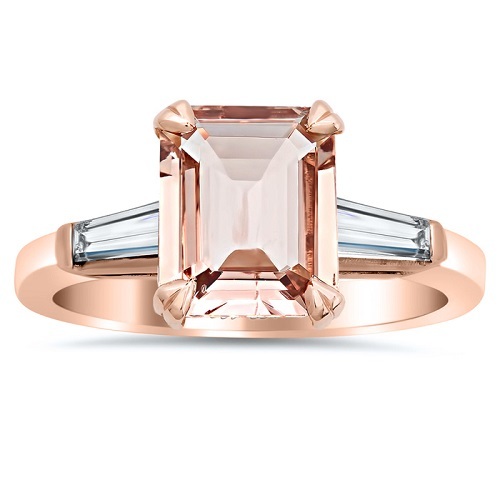 While rose gold is a massive trend now, it may not be as popular a few years down the line. If you adore the colour of rose gold, then it won't matter whether the metal is stylish or not in the future – you will love it anyway. If, on the other hand, you are going nuts for everything rose gold right now, you may not feel the same when the trends starts to lose its appeal. Daring styles that don't age well. A pink coloured diamond in a heart shape cut, set on a two tone metal band might be appealing now in your youth. Will you still feel the same 10 years down the line? What about 20 years? Ideally, you want a ring style that is classic and simple enough to always look good – whatever your age and style may be at any given time. A metal that is allergenic. If you have skin allergies, you will need to think carefully about the metals you choose. Some brides are so set on a certain metal band that they are willing to suffer through allergic reactions. This is never a good idea. No matter how popular a certain metal is, if it does not allow you to wear your ring comfortably, it is not a good choice. Styles that do not suit your hand. 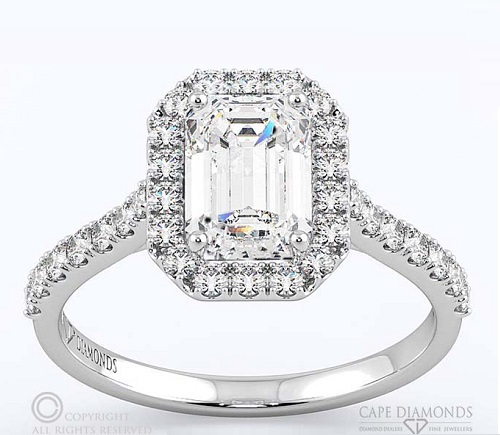 While you should always go with the ring you love, it is also important to make sure that it will look great when it is worn. Our guide in choosing the right ring for your hand offers plenty of tips on which styles are best suited to long fingers, short fingers, small hands, big hands and everything in between. Colour combinations that are overly bold. That incredible pink, blue and gold ring looks great now. You may even still love it in another year. But from a longevity point of view, very over the top of overly bold colour combinations will quickly lose their appeal. The last thing you want is a ring that clashes with everything you wear. White gold engagement rings were once a highly popular choice, losing favour to cooler toned metals such as white gold and platinum in more recent years. Since the emergence of coloured golds such as rose gold however, yellow gold is making a major comeback. While this metal does not appeal to every taste, it has an elegant, sophisticated look that adds plenty of warmth. 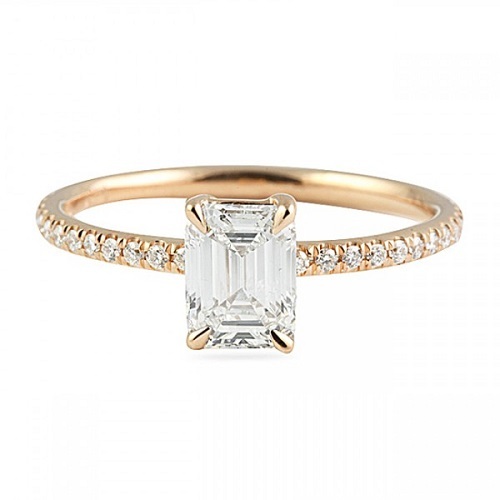 Used alongside classic diamonds, the combination is a ring that is feminine yet subtle. 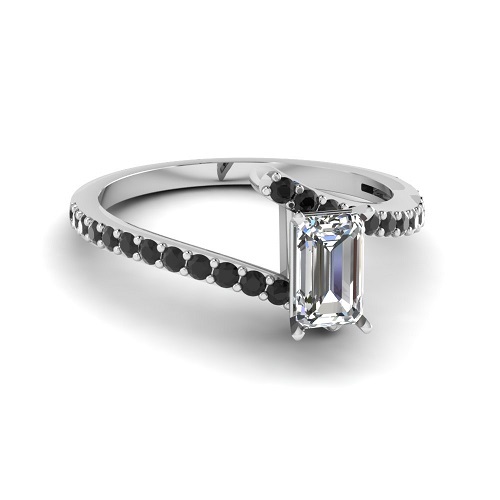 Depending on the design you choose however, your ring could be as understated or bold as you choose. 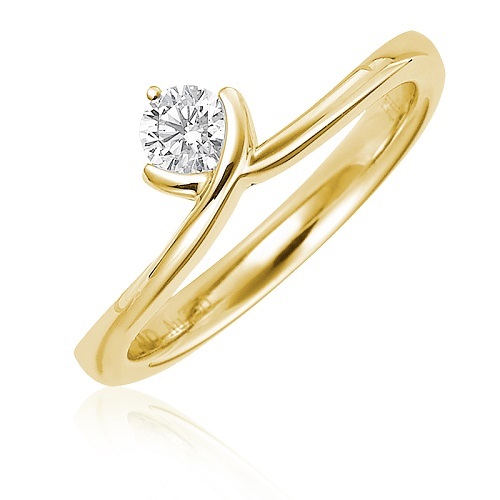 To help you get inspired, we have showcased some of our favourite yellow gold rings. If you prefer your jewellery on the simple side, nothing can compete with a timeless solitaire set on a delicate gold band. As simple as this style is, it does not mean it has to be boring. You can keep your gold band paired with a flawless diamond, or try a coloured diamond in black, champagne or even yellow to add more impact to this minimal style ring. 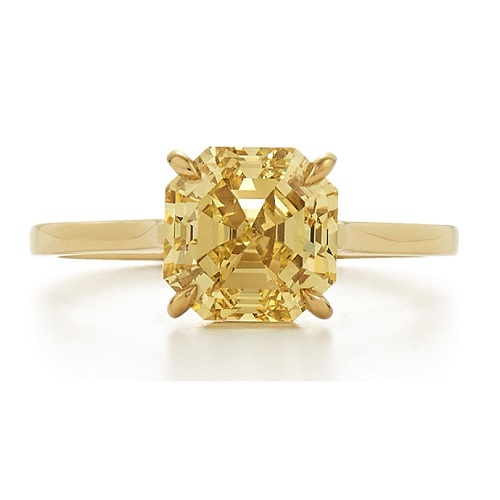 Talking about yellow diamonds, this incredible asscher cut is given even more impact from the yellow diamond that is set against the yellow gold band. This choice is ideal for brides wanting something unusual and interesting. The balance of warm toned stone and band make this a more unusual choice for sure. 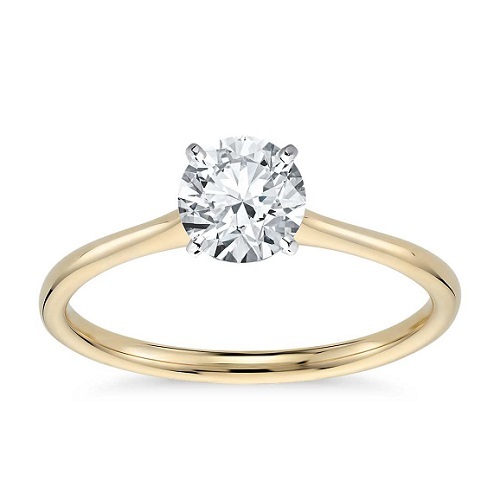 Solitaire style rings don't have to be the same, either. 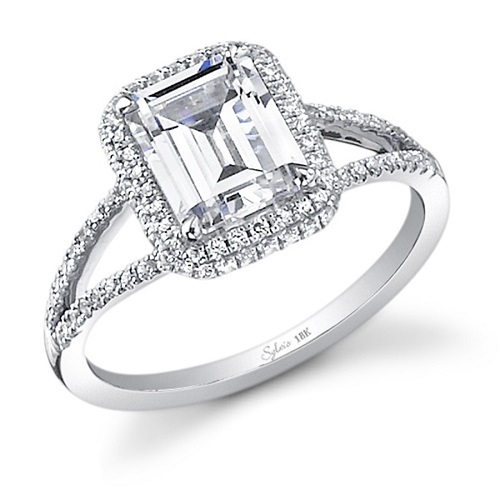 The v shape of this ring adds plenty of visual detail without making it bulky or heavy. The clean, delicate lines of the band are soft and gentle, leading up to the centre stone. This ring choose is great for those wanting to elongate the look of their finger. For more tips on which ring is the best fit, view our guide to choosing a ring to suit your hand. 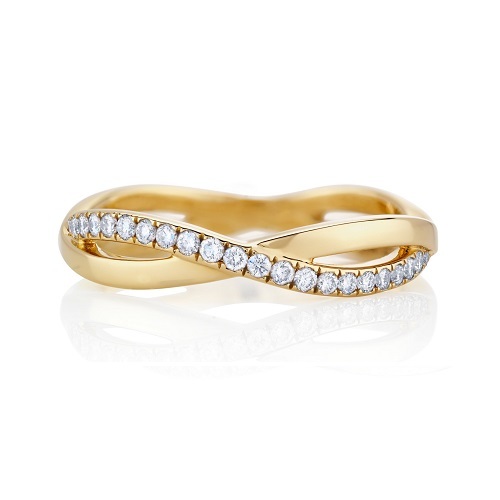 This exquisite infinity band as a super romantic choice that is surprisingly simple. A delicate pave band twists alongside a plain band, creating an infinity loop. If you love rings that have plenty of symbolism, this is sure to be a great choice. Who says you have to stick to diamonds? A unique stone such as opal adds lots of impact in a less than usual way. Opals come in a wide range of colours. 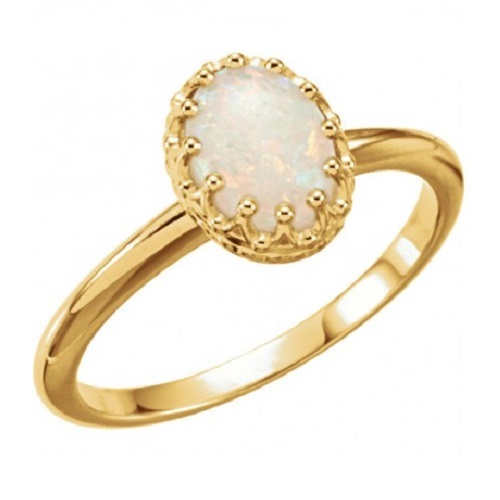 Whether you opt for a subtle pale opal or a vibrantly hued opal, the balance of stone and metal is always lovely. 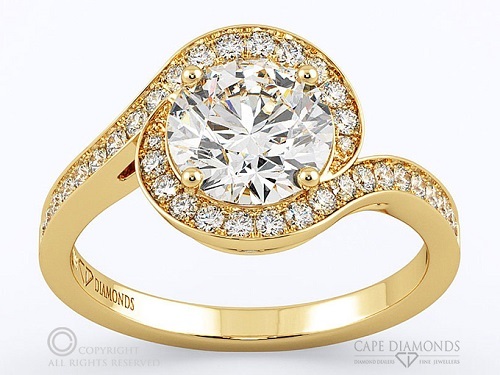 The round twisted claw pave ring is available at Cape Diamonds. This timeless ring has a vintage appeal with a modern twist, putting the middle stone right in the centre in a way that adds plenty of impact and elegance. If you like standing out, this is a great choice. Looking for more inspiration? Browse our selection of yellow gold engagement rings to see what we have in store, or contact us today for assistance with a custom ring.